Kampa Bhupa’s Path in Hampi is a two km long trek that starts from near the Hampi Bazaar and ends near the Vittala Temple. The trek covers a rocky terrain. 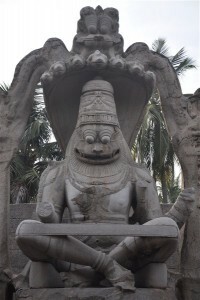 Lakshmi Narasimha statue in Hampi is a large monolith sculpture. The grand statue is known for its unique architecture. It is a major tourist attraction. Ramayana Circuit and Hampi and Anegudi. Know how these two Karnataka cities got their places in the Ramayana Circuit. What is their Ramayana connection? Hampi by Night- walk through the illuminated city of Hampi under the moonlight and experience the beauty of the monuments along with light and sound show. Hampi Utsav highlights. Know about the highlights of Hampi Utsav If you plan to attend the festival, do not miss these 10 events and attractions. Hampi Utsav 2017. Know about Hampi Utsav 2017 schedules and different activities which include sports, adventure activities, and performances by artists. Achyuta Raya Temple is a must-visit when you are in Hampi. Know more about Achyuta Raya Temple, its history, architecture and how to reach. 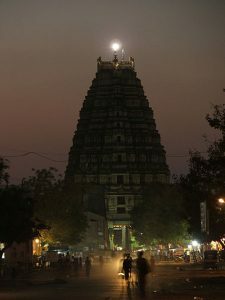 Saraswati Temple in Hampi is dedicated to Goddess Saraswati. Most parts of the temple are in ruins. Visit the temple to get a glimpse of a glorious past. 10 less known facts about Hampi. 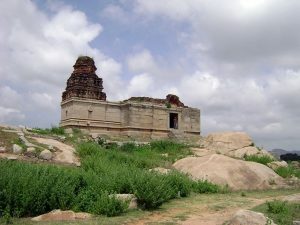 There are many interesting facts about Hampi. 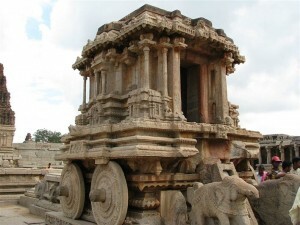 Read on to know more about Hampi and the wonders it is hiding. 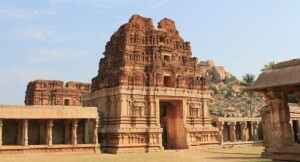 Hampi is renowned for the widespread ruins of the Vijayanagara Empire. The town offers scope for a number of exciting things to do. Read on to know more.